The month began away to Monaco… It was a disappointing match in which both sides had opportunities to win. Already without Lacazette, OL suffered another bad blow when Bisevac seriously injured his knee and was ruled out for the remainder of the season. It finished 0-0. And it was followed by another draw, this time against PSG, and still without Lacazette. It finished 1-1, with both sides having chances although Paris had the better of it, but were denied by an extraordinary Lopes, who produced 4 phenomenal saves to deny Cavani and Zlatan Ibrahimovic. OL opened the scoring but PSG equalised from a controversially retaken penalty. 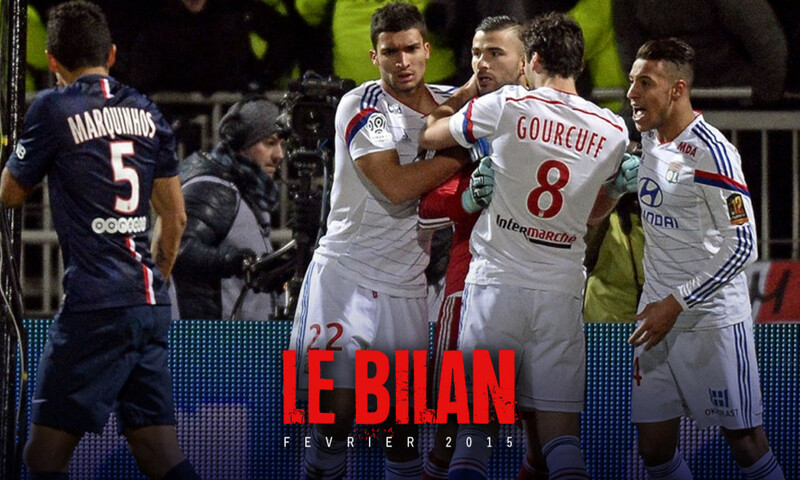 It was a good point for OL who drew again a week later against Lorient. After a difficult first half, Gourcuff's second half introduction did the world of good as NJie cancelled out Ayew's opener. The home match against FC Nantes saw Les Lyonnais get back to winning ways. But it was still a tough game as Fekir got the only goal of the game and also missed a penalty... as Lacazette returned to action. The end of the month and the match against Lille would leave a bitter taste. An excellent first half saw OL leading at the break courtesy of Tolisso's 3rd minute goal. But LOSC changed their system at half time and, led by a spectacular Lopes in attack overran an OL side that had no answers. Gonalons was 'guilty' for the second LOSC goal and was replaced before the end! Despite the loss, OL stayed top of the standings with a one-point lead over PSG and 4 over OM.